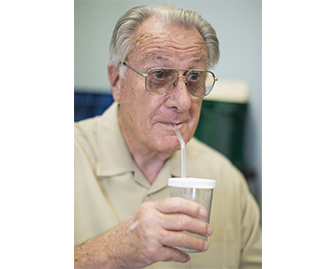 A straw that helps control the flow rate of fluids for people that have difficulty generating or maintaining suction. This allows fluid to work its way up the straw and prevents it from emptying back into the cup. Great for those with poor oral muscle control.